One click way to call up the New Releases on Automatic Writing from Barnes and Noble. From Preface: (Originally published in the 1800s) In the interest of truth only have I prepared this book, and have herein given a plain, unvarnished statement of facts as they occurred, in the exact words of the communications as I have them in the original manuscripts. In most of these, especially after the first year, I wrote down at the time the questions asked by Mr. Underwood and myself, directly over the replies, so that I know without doubt to what the answer is referred. In the first year, however, I sometimes omitted writing the questions asked orally, and in regard to such had to trust to memory, or infer from the answer what those questions were. If, therefore, here and there occur trifling mistakes or repetitions they are due to this fact, and to the further J-act of my having earlier written out, so that they could more easily be read, many of the communications, in re-writing which for this volume I have consulted both the original manuscripts as written by spirit power, and my own copies. One thing, arising from my experience after the publication of the Arena article I wish to make clear in this Preface. Amazon Synopsis: 1930. The author attempts to answer the following questions: what is automatic writing; what makes a person do it; do you have to be queer to do it; is it a spirit phenomena; could I find something in me I did not know existed; can everybody do it; are there any mental or organic mechanisms we must consider; are there any advantages or disadvantages to doing automatic writing; are there any other forms of automatic activity. Many examples of automatic writing and drawings. Amazon Synopsis: In a never-before-published Edgar Cayce title, Henry Reed shows readers how to discover the hidden powers of their minds and souls. An illuminating work that takes readers on a journey to the most important realm of the human spirit. Contains guidance on how to do inspirational writing, a method of consciously writing from your higher self. Amazon Synopsis: Become your very own psychic in very little time! A Psychic Medium, Certified Holistic Healing Counselor & Hypnotherapist affirms that we are all born with the natural gift of a sixth sense, ESP, also know as Extra Sensory Perception. A series of meditations/relaxations and creative visualization of guided imagery will put you into a transcendental state of mind where you can easily tap into each of your psychic abilities of Clairvoyance (vision), Clairaudience (hearing) & Clairsentience (gut feeling) along with the practice of automatic writing as a valuable asset to aid as a divination tool to help validate and clarify your visions, impressions, images, thoughts and gut feelings. In this book you will learn to create sacred space for blessing the home, spiritual release, spiritual clearings & psychic self-defense. Create your own inner sanctuary to easily connect with spiritual guides, angels, and your higher-self. 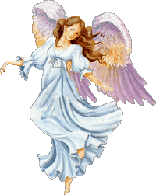 Contact angels for companionship, guardianship and protections & healing, along with totem animals, nature spirits, fairies & devas. Learn the seven spiritual planes of existience, chakra meditation with crystals & color as your learn to see auras. Learn to remember & see "out of body" experiences or astral projection. Remember past lives, foresee future events. Connect & speak directly to loved ones who have "crossed over to the other side". Learn the ancient art of crystal gazing & scrying while you engage in telepathic conversations. Everything that you need is all in one book to help you to tune into the metaphysical world in a very short amount of time as you effortlessly Enhance Your Psychic Abilities Through Automatic Writing. Amazon Synopsis: Amy Zerner and Monte Farber are metaphysical experts who continually find original, profound, and fun ways to help us reach our full potential. The Ghost Writer: Automatic Writing Kit is their newest invention, and with it they once again share their secrets for initiating communication with the psychic universe. Thanks to a specially designed planchette, it actually allows information to stream right from the spirit world and through our fingertips. This technique, known as automatic writing or trance drawing, is a well-known vehicle for channeling books, art, and music; interpreting dreams; unblocking memories; and solving our most pressing problems. The beautifully designed kit includes the planchette, a Ouija-like indicator that’s designed to hold the special pen and move easily when obtaining a message. There’s also a 48-page instruction book, gorgeously illustrated by Amy, along with artist Elizabeth Williams. Amazon Synopsis: This book, How to do Automatic Writing, is a very short to the point book on how to quickly and easily do automatic writing anytime and anywhere. Automatic writing allows you to contact the spirit world to get instant answers about your life. It's like getting a free psychic reading anytime you want! Anyone from beginner to advance can easily do automatic writing by following the very simple and effective exercise in this book. This book makes it so easy to do and requires no experience of any kind and will show you step by step how to quickly get accurate information from the universe through automatic writing. You will be able to get answers about your past, present or future situation in your life concerning money, love, health, psychic abilities and many more things as well. Over 20 years of experience has been accessed in this book to give you the most quick and effective way to do automatic writing and get immediate results. Amazon Synopsis: Automatic writing is the practice of receiving written messages channeled through your own energy and that of higher intelligences. Harness the powers of automatic writing in less than 60 days to help better your life, health, finances, and spiritual endeavors. Learn whom you can contact and how to interpret the messages you receive. Then use this art to learn about past lives, retrieve lost objects, receive guidance from your higher self and more. Amazon Synopsis: Learn how to do Automatic Writing is a step by step course to help you access higher realms of the mind, body and spirit. This workbook will guide you through the different steps required to become successful with Automatic Writing. In this book you will learn how to: Contact family members who have passed on. Contact your Spirit Guides and Guardian Angels. Find a teacher from another Galaxy. The possibilities are endless once you learn how to do Automatic Writing. This is an interactive workbook and will require time and patience on your part as the reader. You also have access to the Author if you become stuck or unable to move forward in your pursuit. Learn at your own pace. There is no pressure. Just enjoy the journey! Amazon Synopsis: With Writing Open the Mind you can inject a sense of playfulness and possibility into your writing! Powerful writing comes naturally when your mind is energized and experimental, when it can take risks and follow the unexpected. Use the techniques in this book to jump-start your creativity, learn new tricks and expand your writing repertoire. Use the surrealist technique of "automatic writing;"
Scramble word sequences to break the habit of making "sense" in a linear way. Amazon Synopsis: Channeling and channeled writing isn't just for gurus and mystics. Each of us has the ability to make a direct connection with a higher power for personal transformation and profound life change. With humor and warmth, Sara Wiseman shares clear, step-by-step instructions for channeling and channeled writing, including what to expect when first starting out. You will learn to use a journal for spiritual growth and to manifest your goals through writing. Once you get in the flow of Divine energies, you can receive answers to life's questions and challenges, meet your spirit guides, and tune in to universal truths. In the second part of this wonderfully inspiring book, Wiseman invites you to experience The 33 Lessons, a collection of life-affirming messages channeled from her spirit guides. These practical life lessons offer insight into love, spiritual awakening, and living with purpose and passion.